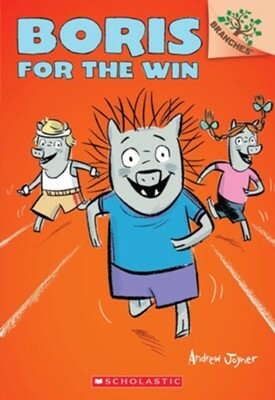 For a determined warthog like Boris, adventure is always just around the corner! Go Boris! It's Field Day, and Boris is ready to run like he's never run before. All he wants is to beat Eddie, who always wins everything. And all his friend Frederick wants is not to come in last...again. Who will make it across the finish line first? And when Boris is faced with a big decision, will he go for the gold or help a friend in need? Ready, set, go! Andrew Joyner is an illustrator and cartoonist published internationally in newspapers and magazines including THE SUNDAY AGE, THE AGE, SYDNEY MORNING HERALD, SUN-HERALD, SOUTH CHINA MONRING POST, and READER'S DIGEST. He has illustrated books by humorists Ross Campbell and Wendy Harmer. 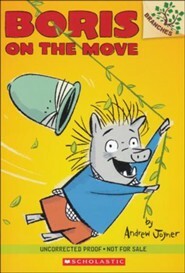 THE TERRIBLE PLOP was his first picture book and most recently, he has produced a series of chapter books featuring Boris, a loveable warthog. He lives in Strathalbyn, South Australia. 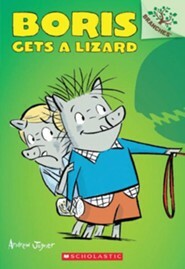 "Joyner moves effortlessly between small written sections and big illustrations with comic style text. Really gorgeous...But above all, they're just ridiculously fun boy books." I'm the author/artist and I want to review Boris for the Win.